NBC has shuffled its January 2019 line-up and set the Brooklyn Nine-Nine Season 6 premiere for Thursday, January 10 at 9 p.m. The series will air weekly in that timeslot. A week earlier, Dwayne Johnson’s new athletic competition series The Titan Games will premiere on Thursday, January 3 from 8-10 p.m. ET/PT. The series will air in its regular timeslot on Thursdays from 8-9 p.m. beginning Jan. 10. The move of The Titan Games to Thursday keeps NBC’s highly successful all-Chicago Wednesday lineup intact. The network says The Good Place will shift to 9:30 p.m. beginning Thursday, Jan. 10 and air in that timeslot through its season finale on Jan. 24. Will & Grace will move to 9:30 p.m. beginning Thursday, Jan. 31. Superstore, meanwhile, will be pre-empted before returning in March when the 8-10 p.m. two-hour comedy block returns with all original programming. I Feel Bad, which was always intended as a 13-episode season because a pair of upcoming comedies still need to be scheduled (Abby’s, A.P. Bio), will conclude in December. 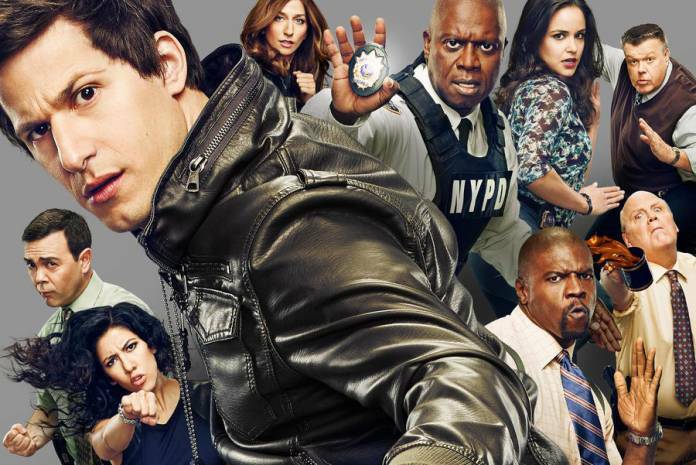 The Brooklyn Nine-Nine Season 6 premiere will kick off 18 new episodes of the series. From executive producer Michael Schur and creator/executive producer Dan Goor, Brooklyn Nine-Nine is produced by Universal Television, 3 Arts Entertainment, Fremulon and Dr. Goor Productions. The Titan Games, which will consist of 10 episodes, comes from Universal Television Alternative Studio (World of Dance), A. Smith & Co. Productions (American Ninja Warrior), and Seven Bucks Productions (Rock the Troops). Dwayne Johnson, Arthur Smith, Dany Garcia, Hiram Garcia, Brian Gewirtz, Toby Gorman and Anthony Storm will serve as executive producers for the series.